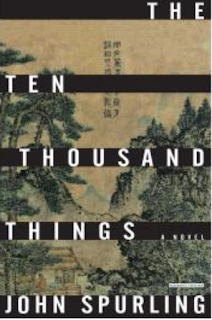 Asian Books Blog: On what shall the eye rests; John Spurling's The Ten Thousand Things, a novel. The historical facts that can be gleaned from reliable sources online about the life of Wang Meng are relatively skimpy. Spurling’s novel tracks these rough footprints -- Wang Meng, grandson of Wang Mengfu (a renowned poet of this time); his friendship with another famous Chinese ink painter Ni Zan. 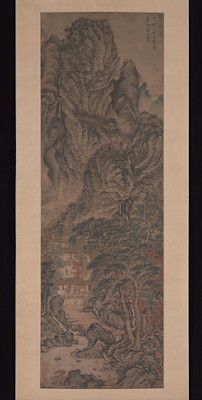 and together with a couple others, they established a literati tradition of ink painting (wen ren hua) that emphasised an individualistic and poetic aestheticism in brush stroke, even though they differed from each other greatly in style); the events in Wang Meng’s timeline -- e.g. the fact that he was wrongly imprisoned the last five years of his life, believed to have connived in a plot against Ming Emperor Zhu YuanChang, responsible for overthrowing the Mongol-led Yuan Dynasty. Likewise, Spurling gives texture and colour to Wang Meng’s historically documented political ambivalence, directed towards not just the Mongol government but equally towards those who advocated for a reinstatement of the Song dynastic lineage, e.g. the White Lotus society, which was guided by principles of Taoism. Spurling’s account depicts Wang Meng as an atheistic but not unsympathetic witness of the exploits of the Red Scarf bandits, a splinter rebel faction that loosely imbibed Maitreya doctrine. This period of the Yuan dynasty is one of political turbulence, and Spurling depicted Wang as a lover of peace and stability rather than strict political loyalties. 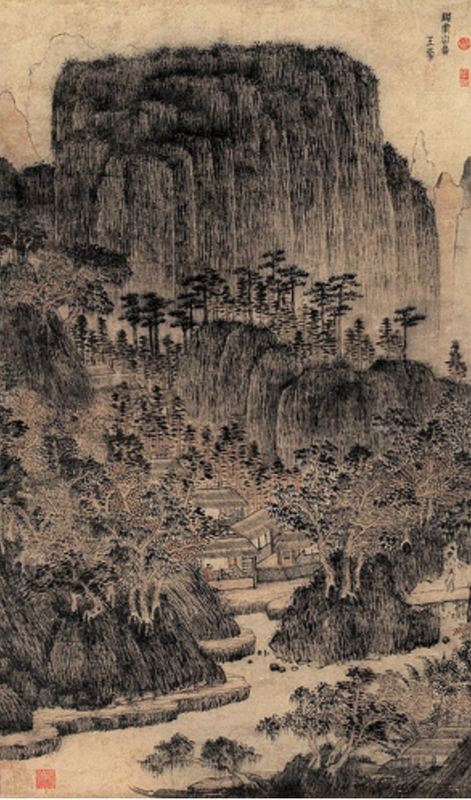 Amidst this landscape then, where this novel really takes off as a feat of imagination is Spurling’s imagination of the earliest influences upon Wang Meng’s artistic development through his youthful first love Peony and his meeting of a mountain man with an eccentric approach to ink painting -- that is, painting with his feet rather than with a brush. 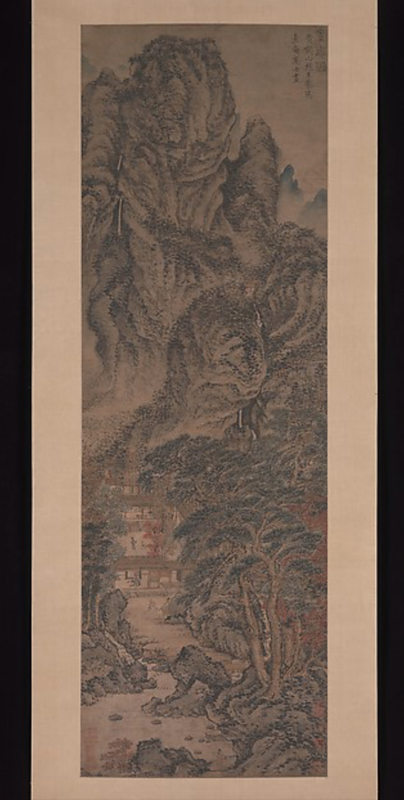 Similarly, Spurling boldly takes artistic licence in imagining Wang Meng’s path crossing with that of a woman warrior called the White Tigress. a leader of the Southern Red Scarfs and in fact Wang became her military strategist. Spurling invents a meeting full of clairvoyant import between Wang Meng and historical ruler Zhu YuanChang at a time when he was a youth and an impoverished orphan, taken under the wing of a Buddhist monastery, who of course as we know became the founder of the Ming Dynasty (1368 -- 1644) which re-established the supremacy of the Han Chinese. Again and again, even in Wang Meng’s long and loyal friendship with landscape painter Ni Zan, Wang was portrayed as a sensitive artist, full of fellow feeling and a refined artistic sensibility, one who especially cherished the idea of the sanctuary, the retreat -- deductions Spurling undergirds with a solid appreciation of Wang Meng’s extant landscape paintings, available to view at the Metropolitan Museum of Art, New York and the Palace Museum, Beijing, among others. 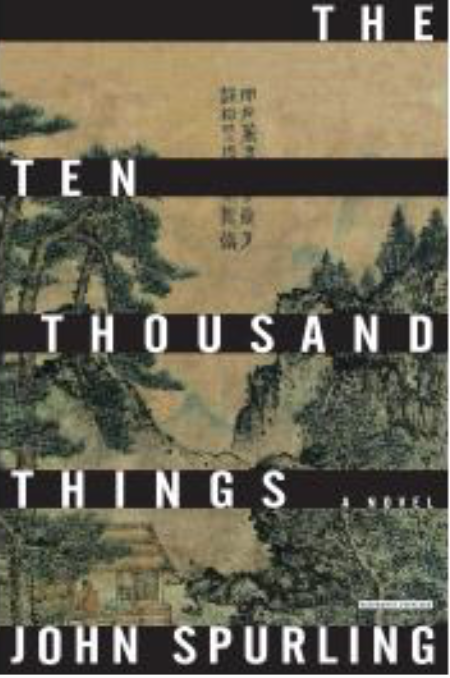 The title “Ten Thousand Things” presumably refers to the Tao Te Ch’ing, “Dao gives birth to one, One gives birth to two, Two gives birth to Three, Three gives birth to the ten thousand things” and is an apt reflection of the effect of our encounter with these sweeping ink landscapes that cause the eye to meditate. Spurling frames the narrative at the beginning and end within the voice of Wang himself, retelling his life journey while languishing in prison, and this is perhaps my one quibble with the book -- this framework seems to add little beyond a book-ending effect. The art history of Chinese landscape painting is complex and voluminous, but Spurling has carefully portioned off a segment through an examination of Wang Meng’s paintings, and the prose here is a solipsistic wander through rocks and mountains and water in a sublime artistry of the scroll, where perspective is rendered through an eye that roves rather than a fixed gaze. Spurling’s book itself offers these multiple entry points through its various historical milestones. What unfolds is not just the life of Wang Meng, but a luminous tapestry that interweaves Chinese ink painting, Chinese art history, Chinese political history and the conventions of fiction. 天啊, what a read!